For other leagues named Eliteserien, see Eliteserien (disambiguation). Eliteserien (Norwegian pronunciation: [ɛ²liːtəˌsɛrjən]) is a Norwegian professional league for association football clubs. At the top of the Norwegian football league system, it is the country's primary football competition. Contested by 16 clubs, it operates on a system of promotion and relegation with the 1. divisjon. Seasons run from March to November with each team playing 30 matches (playing each other home and away). Most games are played on Sunday evenings. Eliteserien was founded in 1937 as Norgesserien (English: The League of Norway), and the first season was the 1937–38 season. The structure and organisation of Eliteserien along with Norway's other football leagues have undergone frequent changes right up to the present day. Starting with the 2017 season the league is called Eliteserien after NFF decided to totally drop the sponsor name from the name of the league after the 2016 season. The broadcasting rights were in December 2015 secured by Discovery Networks who signed a six-year deal giving them rights to broadcast all the 240 games in Eliteserien from 2017 to 2023. The deal was worth NOK 2.4 billion. The league generates NOK 400 million per year in domestic television rights. Sixteen clubs have won the title since the inception of the league in 1937: Rosenborg (26), Fredrikstad (9), Viking (8), Lillestrøm (5), Vålerenga (5), Brann (3), Larvik Turn (3), Molde (3), Lyn (2), Start (2), Strømsgodset (2), Fram Larvik (1), Freidig (1), Moss (1), Skeid (1) and Stabæk (1). In 2010, Rosenborg became, and still remain, the only club to complete an Eliteserien campaign without losing a single game. The record of most points in a season is 71 by Molde in 2014. Since its establishment as a one-group top flight in 1963, forty-seven clubs have competed in Eliteserien. Before 1937, there was no national league competition in Norway; only regional leagues and the Norwegian Cup. 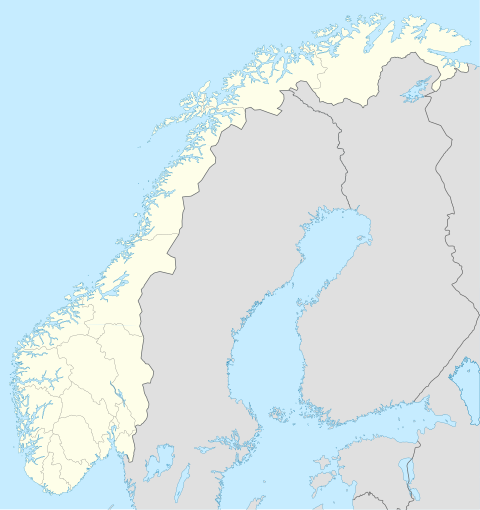 Starting in 1937–38, the various regional leagues in Southern Norway were aligned into eight districts, with a championship playoff between the winners to crown a national champion. This competition was called Norgesserien (English: The League of Norway). In the early years, the top flight teams were divided into eleven groups from eight districts. The league champion was decided in either a knockout tournament or a final between the winners of these groups. Fredrikstad was the first champions of the league, winning the 1937–38 season. They won the two-legged final against Lyn 4–0 on aggregate. Fredrikstad defended their title in the 1938–39 season. From the 1937–38 season and until the beginning of World War II, the teams were divided into eight district groups. There were plans at the time to merge the district leagues into a national competition, but because of World War II, this process was delayed until after the war, although also the first post-war season in 1947–48 had eleven district-based groups. In 1948, Hovedserien (English: The Main League) was created, consisting of the 16 top teams from the district leagues, who were placed into two groups of eight, with the group winners playing a two-legged final for the national championship at the end of the season. This format was in place from the 1948–49 season until 1960–61, when it was decided to merge the two groups into a single top division, and have the season follow the calendar year from 1963 onwards. The 1950s were dominated by Fredrikstad FK and Larvik Turn. Fredrikstad won their latest league title in 1960–61, which secured their ninth title out of sixteen possible. Larvik Turn won Hovedserien three times in four seasons from 1955–56. The 1961–62 season was played during 15 months. The teams from the two groups in the 1960–61 top division were put in one group consisting of 16 teams. The 1961–62 season became a transitional season, where the 16 top-flight teams were placed in a single group, playing a season that went on for 15 months and one half of its teams were relegated. Officially still known as Hovedserien, the 1961–62 season is often referred to as Maratonserien ("The Marathon League") due to its unusual length. and was won by Brann. In 1963, a single top division containing ten teams was introduced, and the league was renamed 1. divisjon (English: 1st Division). The first regular one-league season was played spring-autumn and was won by title defenders Brann in 1963. The league was expanded to 12 teams in 1972. Teams from Northern Norway were not allowed to gain promotion to the top division before 1972, and were subject to stricter promotion rules than teams from the rest of Norway until 1979. Viking won the league four consecutive seasons beginning in 1972. Lillestrøm won back-to-back titles in 1976 and 1977. In 1979 teams from Northern Norway were given the same promotion rights as the rest of the country. In the beginning of the 1980s, Vålerengen were the dominant team, with their titles from 1981, 1983 and 1984. The former logo of the league, Tippeligaen, which it was known as from 1990-2016. In 1990, the league was renamed Tippeligaen, after Norsk Tipping which has been the main sponsor of the league since then. However, unofficially the league was still known as 1. divisjon by most people. And ahead of the 1991-season it was decided to let the second level league of Norwegian football "inherit" the name 1. divisjon to help Tippeligaen establish as a brand. Rosenborg of Trondheim won the first year the league bore the name Tippeligaen in 1990. Followed by a win by Viking of Stavanger in 1991. In 1992, Rosenborg started a run of 13 consecutive titles which lasted to the 2004 season. During the first years of Rosenborg's thirteen-year run, they won the league with substantial margins, only partly challenged by Bodø/Glimt, Molde, Lillestrøm and Brann. However, this was steadily narrowing down towards a dramatic finish in 2004, where the Trondheim team tied with Vålerenga of Oslo in game points and on goal difference, but finished ahead on number of goals scored. However, in 2005 the winning streak came to an end as Vålerenga clinched the title, one point ahead of Start of Kristiansand. Rosenborg was never in contention that season and would finish only 7th. In 2006, Rosenborg returned to the top of the league, coming back from 10 points behind Brann at the halfway point to clinch the title with a match to spare. Brann won the league in 2007, and Stabæk won their first-ever title in 2008. Rosenborg then returned for a two-year winning streak in 2009 and 2010. Molde's back-to-back titles in 2011 and 2012 makes it the only other club to win consecutive titles in the current format, and outside Rosenborg, the first team to do so since Vålerenga in 1983 and 1984. In 2016 it was decided to change from the sponsorship name Tippeligaen to the non-sponsorship name Eliteserien, effecting from the 2017 season. Rosenborg won the league four consecutive times from 2015 to 2018. The league has been professional since 1992. In 1995, Tippeligaen was expanded to 14 teams, and in 2009 it was further expanded to 16 teams. As of the 2019 season there are 16 clubs in the Eliteserien, seven of which are located in Eastern Norway, five are from Western Norway, and two each are from Trøndelag and north of the Arctic Circle. During the course of a season, each club plays the others twice, home and away, for a total of 30 games for each club, and a total of 240 games in a season. The season starts in March and lasts until early November. Rounds played during the weekends are usually broken up into two games on Saturdays, five games on Sundays and one game on either Fridays or Mondays. For the final two rounds, all games start simultaneously so that no club may gain an unfair advantage by knowing the results of other games in advance of kicking off their own. The 16 May round, which is played the day before Norway's Constitution Day, 17 May, is one of the most anticipated rounds of the season. It is often referred to as the "national day of football" and since it precedes a national holiday, games usually see higher attendance than other rounds. Teams receive three points for a win and one point for a draw. No points are awarded for a loss. Teams are ranked by total points, then goal difference, goals scored, and then head to head records used to separate teams on equal points. At the end of each season, the club with the most points is crowned "League Winner". The title of "Norwegian Champions" is reserved for the winners of the Norwegian Football Cup. The two lowest placed teams are automatically relegated to the 1. divisjon and the top two teams from the 1. divisjon take their place. The fourteenth placed team in Eliteserien is also in danger of being relegated and must enter play-offs against one team from the 1. divisjon to stay in the top flight. Rosenborg (11 times) and Molde (once) are the only Norwegian clubs to participate in the UEFA Champions League group stage. Rosenborg reached the quarterfinal in the 1996–97 season. They were eliminated by runners-up Juventus with 1–3 on aggregate. In the 1968–69 season, Lyn lost the European Cup Winners' Cup quarterfinal against runners-up Barcelona with 4–5 on aggregate. Brann lost the quarterfinal against Liverpool in the 1996–97 UEFA Cup Winners' Cup and Vålerenga lost the quarterfinal against Chelsea in the 1998–99 UEFA Cup Winners' Cup with 2–6 on aggregate. Rosenborg (twice), Brann and Molde have reached the round of 32 in UEFA Cup/UEFA Europa League. In addition, Tromsø (twice), Viking (once) and Sarpsborg 08 (once) have participated in the UEFA Cup/Europa League group stage. The following sixteen clubs are competing in the Eliteserien during the 2019 season. ^ a b Northern Norwegian teams were not allowed to qualify for the top flight division before 1972. ^ FK Haugesund is the result of a merger between SK Haugar and Djerv 1919. These two clubs participated in the Norwegian top flight in 1981 and 1988, respectively. Below is a list of the gold, silver and bronze medalists in the Norwegian top flight since its beginning in 1937–38. (The Norwegian Cup has been played since 1902, and is still officially known as the Norwegian Championship, presented with "The King's Cup".) During 1937–1948 the name of the league was Norgesserien ("The League of Norway"), 1948–1962 Hovedserien ("The Main League"), 1963–1989 1. divisjon ("1st Division"), and from 1990 Tippeligaen (sponsored name) or Eliteserien ("The Elite League", a generic name). From 1937 until 1948, the championship was decided through a playoff between the winners of the various regional leagues in Southern Norway. From 1948 until 1961, the 16-team league was divided into two groups, and decided by a final match between the group winners. Since then it has been a round-robin decided through a league table. Bronze finals were played in 1960 and 1961; before that no bronze medals were awarded. Note that clubs from Northern Norway (including Bodø/Glimt and Tromsø IL), allegedly due to travel distance, were not allowed in the top division until 1972, but a separate Northern Norwegian Cup was played. Furthermore northern Norwegian teams had stricter promotion rules until 1979. The league did not play during the period 1940–1946 because of the World War II. See below for a list of medalists by club. 1939–40 Abandoned because of World War II. Note: 1 First season when North Norwegian teams was allowed to play in the top division. Clubs in European football are commonly honoured for winning multiple league titles and a representative golden star is sometimes placed above the club badge to indicate the club having won 10 league titles. In Norway the star symbolizes 10 Eliteserien titles. Rosenborg was the first team to introduce a star when they won their 10th title in 1995. No club has introduced a star since 2006, when Rosenborg won their 20th league title to put a second star on their badge. The clubs closest to their first are Fredrikstad with 9 Eliteserien titles and Viking with 8 Eliteserien titles. The following table is ordered after number of stars followed by number of Eliteserien titles. From 1990 to 2016, Eliteserien had title sponsorship rights sold to Norsk Tipping. Eliteserien has a number of official partners and suppliers. The official ball supplier for the league is Select who on 27 October 2017 signed the first ever contract to deliver official balls for Eliteserien. The three-year deal began from the start of the 2018 season. A 2007 match at Brann Stadion between Brann and Strømsgodset. Since the competition format was changed to a one-group top flight in 1963, Eliteserien football has been played in 56 stadiums. As of the start of the 2019 season, Ullevaal Stadion has hosted the most matches in the top flight with 697. Since the opening of Vålerenga's new stadium Intility Arena in August 2017, no clubs in Eliteserien use Ullevaal Stadion as their home ground. Two stadiums that have seen Eliteserien football (1963–) have now been demolished. The stadiums for the 2019 season show a large disparity in capacity: Lerkendal Stadion, the home of Rosenborg, has a capacity of 21,405 with Extra Arena, the home of Ranheim, having a capacity of 3,000. The combined total capacity of Eliteserien in the 2019 season is 160,456 with an average capacity of 10,028. The Eliteserien's record average attendance was set during the 2007 season. This record attendance recorded an average attendance of 10,521 with a total attendance of just under 2 million. The 2 million mark was crossed after the 2009 league extension to sixteen teams. 2,151,219 was the total attendance in 2009, which is the record total attendance. Managers or head coaches in the Eliteserien are involved in the day-to-day running of the team, including the training, team selection, and player acquisition. Their influence varies from club-to-club and is related to the structure of the club and the relationship of the manager with fans. Managers are required to have a UEFA Pro Licence which is the final coaching qualification available, and follows the completion of the UEFA 'B' and 'A' Licences. The UEFA Pro Licence is required by every person who wishes to manage a club in the Eliteserien on a permanent basis. Former Rosenborg and Moss head coach Nils Arne Eggen was the most successful head coach or manager in the history of Eliteserien. Odd head coach Dag-Eilev Fagermo is the longest serving manager among the current managers in Eliteserien. In the UEFA coefficient, UEFA's rankings of European leagues based on their performances in European competitions over a five-year period, the league ranked 27th at the end of the 2012–2013 European season, its lowest ranking since 1993. The league's highest ranking, tenth place, came in 1998. The winners of the previous calendar year's Eliteserien enter the second qualifying round of the UEFA Champions League, while the cup winners and second placed team enter the second qualifying round of the Europa League. The third placed team enters the first qualifying round of the Europa league. Norway also has an additional place in the first qualifying round of the Europa league for the 2013–2014 season due to its fair play ranking. The following data indicates Norwegian coefficient rankings between European football leagues. From 1963 to 1971, the league consisted of ten teams (90 matches a year). Between 1972 and 1994, the league consisted of 12 teams (132 matches a year). The number was raised to 14 teams (182 matches a year) in 1995 and to 16 teams (240 matches a year) in 2009. Attendances reached peaks in 1963, 1968, 1977 and 2007, and were at their lowest in 1986. The record for highest average home attendance for a club was set by Rosenborg in 2007 (19,903 over 13 home matches). 12 October 1985 saw the record for highest attendance at a match, with 28,569 in the game between Rosenborg and Lillestrøm at Lerkendal Stadion. The highest ever average attendance for Eliteserien as a whole was set in 2007 with 10,521. Daniel Berg Hestad is the player with the highest number of appearances in Eliteserien. Last updated: 22 April 2019. Source: rsssf.com. Sigurd Rushfeldt is the top scorer in Eliteserien history. Last updated: Start of the 2019 season. Source: rsssf.com. The winners of Eliteserien win two trophies. One small trophy in silver which they keep and one bigger trophy which are held only by reigning champions. The big trophy was introduced in 2012 and all winners from 2012 and onwards will get its club's name engraved on it. The ribbons that drape the handles are presented in the team colours of the league champions that year. ^ Fotballforbund, Norges. "Tippeligaen endrer navn til Eliteserien i 2017". Retrieved 1 January 2017. ^ a b "Discovery sikrer seg Tippeligaen i seks år - Betaler 2,4 milliarder". vg.no. Verdens Gang. 10 November 2015. Retrieved 3 December 2018. ^ "Eliteserien" (in Norwegian). Eliteserien. 27 November 2016. Retrieved 23 May 2018. ^ Johansen, Magne (26 October 1989). "Tippemillionene". Aftenposten (in Norwegian). p. 35. ^ Dehlin, Håkon (7 December 1990). "Alle rykker opp". Aftenposten (in Norwegian). p. 26. ^ "Tippeligaen endrer navn til Eliteserien i 2017" [Tippeligaen changes name to Eliteserien in 2017]. NFF. 28 August 2016. Retrieved 10 December 2018. ^ Sæther, Esten O. (7 August 2009). "Alle heiet underveis". Dagbladet (in Norwegian). Retrieved 8 August 2009. ^ In Norwegian "fotballens nasjonaldag"
^ Per Svein (16 May 2011). "Nok en 16. Mai kamp i Bergen" (in Norwegian). IK Start. Archived from the original on 3 July 2011. Retrieved 13 January 2012. ^ "Historisk avtale: Nå skal alle spille med denne ballen". eurosport.no (in Norwegian). Eurosport. 27 October 2017. Retrieved 23 May 2018. ^ "FELLES LIGABALL I ELITESERIEN OG TOPPSERIEN". eliteserien.no (in Norwegian). 27 October 2017. Retrieved 23 May 2018. ^ "Styrelederen om sparkingen av Ingebrigtsen: – Ubehagelig og tøft" (in Norwegian). NRK. 19 July 2018. Retrieved 20 July 2018. ^ "Skullerud ferdig i Strømsgodset: – Ugunstig tidspunkt" (in Norwegian). NRK. 6 June 2018. Retrieved 7 June 2018. ^ "Norwegian attendances". Retrieved 1 January 2017. ^ Torjusen, Thomas (12 November 2013). "Publikumsøkning for alle medaljelagene" (in Norwegian). Archived from the original on 7 April 2014. Retrieved 24 August 2018. ^ "altomfotball.no: Eliteserien, 2014 - Statistikk". Retrieved 1 January 2017. ^ "Denne blir det umulig å vinne til odel og eie". Aftenposten (in Norwegian). Retrieved 23 May 2018. Wikimedia Commons has media related to Tippeligaen. Wikimedia Commons has media related to Eliteserien.